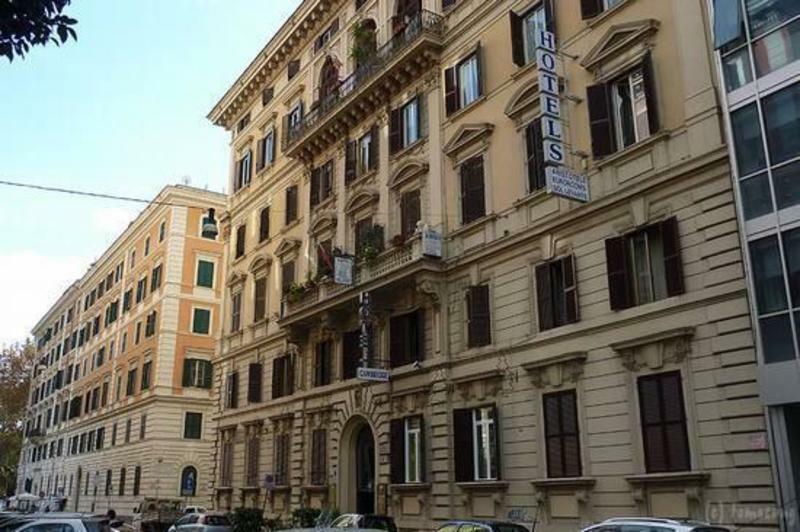 Eurorooms is a comfortable, family-run establishment with a friendly atmosphere situated in the centre of Rome near Termini Station in a quiet area; it connects easily with the bus and metro leading to all famous sights and monuments. Some of them are large and are ideal for young persons sharing communal facilities such as W.C. and shower. Parking in Rome is very limited a public garage is conveniently situated near us. Tours of the city and the surrounding area can be booked here. After midnight your reservation will be canceled. *What if I need to arrive early? If you require a guaranteed check-in earlier than 14:00 then you will need to book the room for the evening prior to your arrival. IF YOU ARRIVE FROM TERMINI STATION. Exit the train station by track 1, walk straight for four blocks along Via Marghera and turn right onto Via Palestro; Eurorooms is your right. IF YOU ARRIVE BY PLANE FROM 'LEONARDO DA VINCI' INTERNATIONAL AIRPORT (FIUMICINO). Shuttle Train to and from Airport every 30 minutes from 07.00 to 22.05 at the cost of 9,00 for person.